Kaizer Chiefs coach Ernst Middendorp says opponents Zesco United are a quality side but his team is confident of collecting a vital away result today in Ndola. 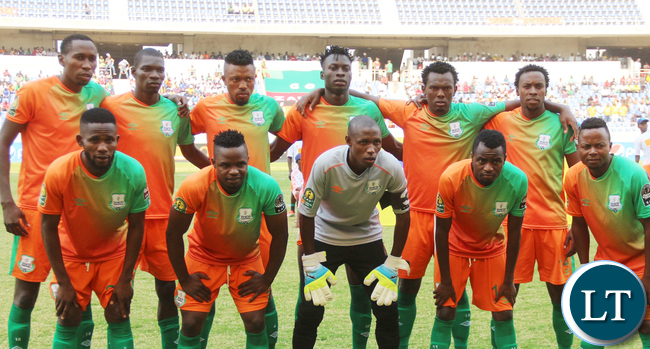 Chiefs face Zesco this afternoon at Levy Mwanawasa Stadium in a 2018/2019 CAF Confederation Cup pre-group stage first leg match. “Zesco United are a quality side,” Middendorp said. This will be Chiefs and Zesco’s debut competitive meeting and the latter’s third continental engagement against South African opposition. This is after meeting Mamelodi Sundowns in the 2016 CAF Champions League semifinals and SuperSport United in the 2017 CAF Confederation Cup quarterfinals who both eliminated Zesco from the respective competition. Chiefs on the other hand make their first trip back to Zambia since 2000 when Nchanga Rangers beat them 2-0 away in Johannesburg to eliminate them by the same goal aggregate in the last 16 of the CAF Cup Winners Cup. Last Saturday, I hooked up with an Indian chick in Zambia. For those who looking for taste change. The girl was standing around Mayela night Club in skimpy dress. I stopped my car next to her and she lifted her skirt to show me what she offering. Negotiated for a 100 kwacha for short time. Interestingly she forgot her phone in my car. And guess what. Its a non working old styled phone. Tried some contact numbers which don’t seem to be Zambian, tells me that she is likely a foreigner. Also I have managed to get her Skype details (no she did not give me). I can pass on if someone is interested. This game will be explosive. Any chance that it will be televised live?